Sports participation in the United States is currently at record levels. In fact, at the high school level, sports participation continues to rise. 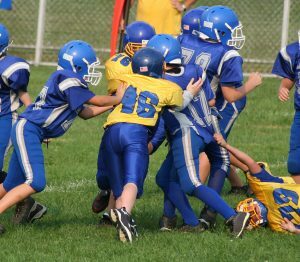 The National Federation of State High School Associations estimated that more than 7.6 million high school students (over 55% of all students) played sports during the 2010-2011 academic year. As orthopedic surgeons, we are all too familiar with injuries that can occur in sports. Since May is National Physical Fitness and Sports Month, the American Orthopaedic Society for Sports Medicine would like to focus on the many positive benefits of sports and encourage Americans to participate. The physical benefits of sports are the most obvious. Much attention has been given to the role of sports and exercise in decreasing the rates of obesity in our nation’s youth. While lower body mass indices among athletes is certainly a desirable marker, it is not the only purported advantage of the regular exercise that comes with sports participation. Lower rates of diabetes and hypertension, as well as improved cardiovascular and pulmonary function are all likely better health markers in athletes compared to non-athletes. However, the benefits of sports are not simply limited to physical health. Playing sports has been linked to improvements in academic, social, and career success. Here are just a few reasons to consider playing sports or encouraging your children to play sports. Athletes in competitive sports are less likely to smoke or use illicit drugs. In a study of over 14,000 high school athletes published in the journal Pediatric and Adolescent Medicine, the ones who played sports were less likely to use drugs. Likewise, a survey performed by the National Household Survey of Drug Abuse showed that the students who played sports were less likely to have smoked cigarettes or used drugs and were more likely to disapprove of others using them. Also, the Women’s Sports Foundation has stated that female high school athletes are 80% less likely to become pregnant than non-athletes. Studies performed among students in multiple states, including Wyoming, Iowa, and Colorado have shown that playing sports can actually increase success in the classroom. 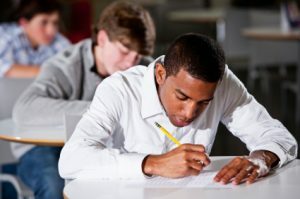 Various data demonstrates that athletes have higher grade point averages, higher standardized test scores, better attendance, lower dropout rates, and a better chance of going to college. A survey of individuals at the level of executive vice president of 75 Fortune 500 companies showed that 95% of them played sports in high school. While it might be hard to argue that sports could guarantee higher incomes, promotions, and better jobs, the leadership skills and development of teamwork, hard work, and determination might help prepare students to be leaders at work and in the community later in life. While it is important for adults to be aware of the risks of injuries in various sports, both for themselves and for their kids, it is important to remember that there are many great reasons to play them as well! Note: A modified version of this post appears as my post for the American Orthopaedic Society for Sports Medicine in the Be Active Your Way blog for the Department of Health and Human Services.